The Monterey Bay chapter of the California Rare Fruit Growers recently organized a members-only tour of a local citrus nursery’s growing grounds, in Watsonville. Aaron Dillon, our tour guide, shared the history of Four Winds Growers, which was started by his great grandparents. 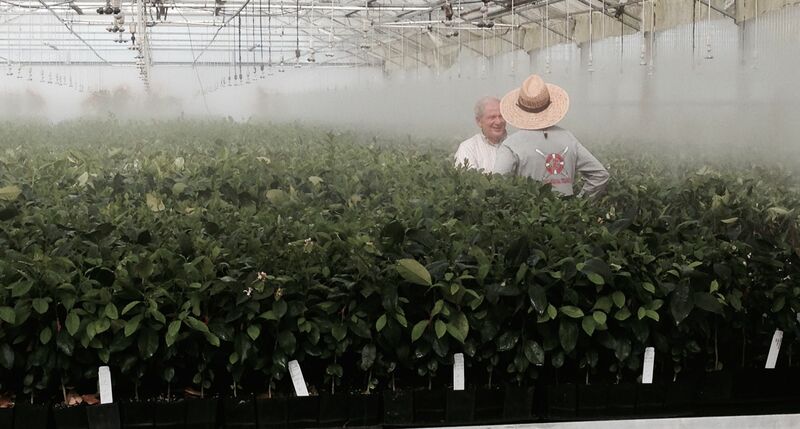 He described the current operations and the pests and diseases that are challenging the entire citrus business. One threat to citrus trees is the citrus leafminer (Phyllocnistis citrella), a very small Asian moth that lays its eggs in the tissue of citrus leaves. The eggs hatch into larva that feeds on the leaf, leaving a clearly visible, serpentine trail just below the surface of the leaf. Leafminers disfigure the leaves but rarely cause serious damage. A greater threat is the Huanglongbing disease (HLB), which is known by the common names “citrus greening disease” and “yellow shoot disease.” HLB kills citrus trees. A tiny insect, the Asian citrus psyllid, transfers this disease from tree to tree as it feeds. Because there is no cure for HLB, the control strategy is to find and stop the insect from spreading the disease. This pest has greatly reduced southern California’s citrus nursery industry, and has very recently been spotted in the San Jose area. The citrus industry has developed regulations and procedures for propagating citrus trees in greenhouses, while keeping Asian citrus psyllids outside. The tour group entered an enormous greenhouse through an antechamber, in which a large fan produced positive air pressure to exclude any psyllids. The outer door closed, the fan was turned off, and an inner door opened to allow the group to enter the working area of the greenhouse. Inside, a greenhouse worker, Alicia, expertly demonstrated the process of grafting a citrus scion to a robust rootstock. 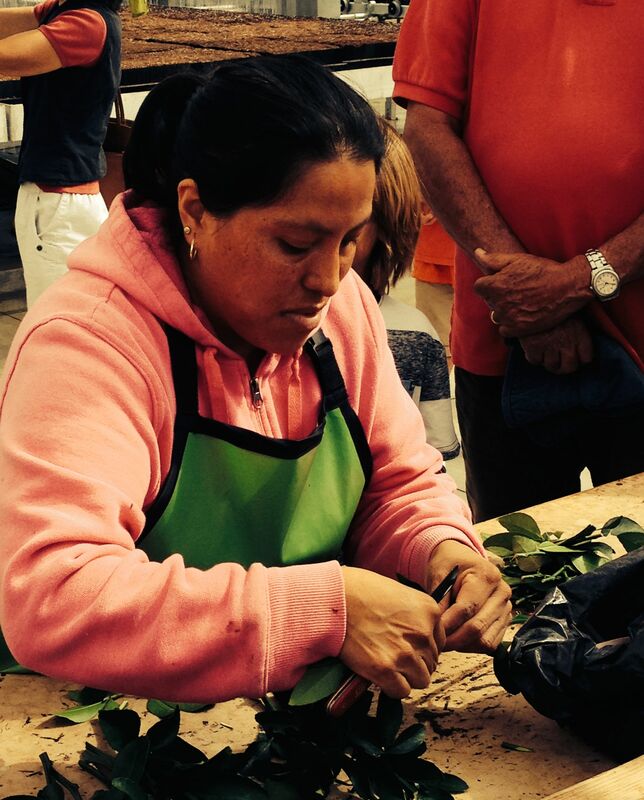 A skilled worker can graft 1,000 plants in a single day. 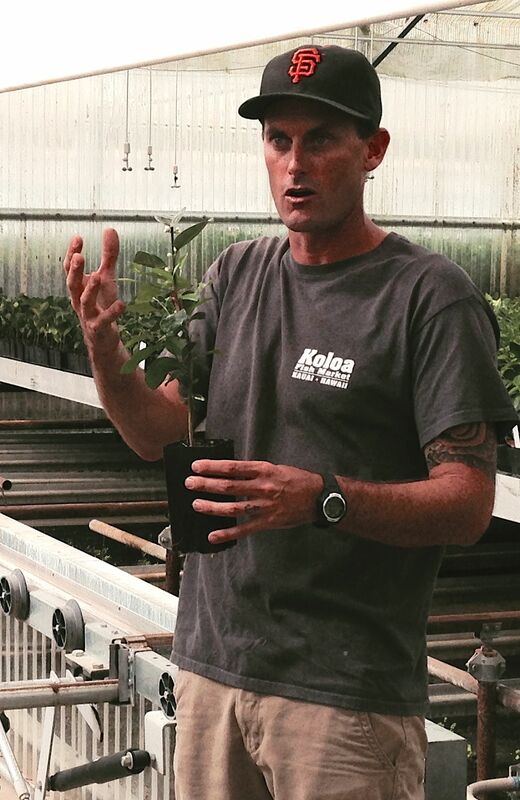 Aaron Dillon engaged the interested visitors with a wide-ranging presentation of many aspects of growing citrus trees. He demonstrated the extensive facilities in a large greenhouse where roses had been grown previously, and proudly showed an even larger new greenhouse now being readied for an expansion of propagation activities. Now Amazon has a new line of products made of citrus, specific for eye care, a example is amazon eye masks. For information on these and many other varieties, browse to the amazing Citrus Variety Collection website, maintained by the University of California, Riverside <http://www.citrusvariety.ucr.edu/>. Many varieties of citrus trees grow well in the Monterey Bay area, and local nurseries have many choices in stock currently. Growing information is readily available on the websites of the California Rare Fruit Growers < www.crfg.org/> and Four Winds Growers. Pest control advice for home gardeners is offered by the Citrus Pest & Disease Prevention Program www.californiacitrusthreat.org/. This entry was posted in Articles and tagged Edible Plants, Fruit Trees, Pests, Propagation, Trees by tomkarwin. Bookmark the permalink.